This award recognizes outstanding achievements in chapter operations and a commitment to providing meaningful programs and services to our members. This award is also in recognition of LWHRA’s continued growth and development as a business leader, capable of developing strategies that lead to business success! The EXCEL award can be earned at four levels: bronze, silver, gold and platinum, and each level has a prescribed set of requirements and accomplishments that have to be met. LWHRA will receive recognition in SHRM publications and conferences, a certificate of recognition, and a special banner to display at its meetings and events. The Society for Human Resource Management (SHRM) is the world’s largest HR professional society, representing 285,000 members in more than 165 countries. For nearly seven decades, the Society has been the leading provider of resources serving the needs of HR professionals and advancing the practice of human resource management. SHRM has more than 575 affiliated chapters within the United States and subsidiary offices in China, India, and United Arab Emirates. 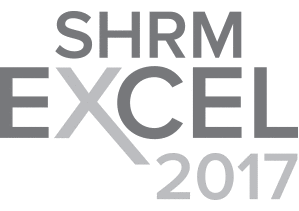 Visit us at www.shrm.org and follow us on Twitter and Instagram @SHRMPress. Comments on "2017 Platinum Excellence Award"